Like any woman, we have skin care & make-up products scattered all over my home (maybe even in the car?) and probably even some are stashed in your partners cabinet (go on, admit it… I know I’m guilty of that for sure!). I have a small beauty bag that I take everywhere with me for those, ‘oh you know, just in case moments’. They are just my necessity essential (life saving haha!) items for any top-up, to look refreshed and super glam moments that are much needed. 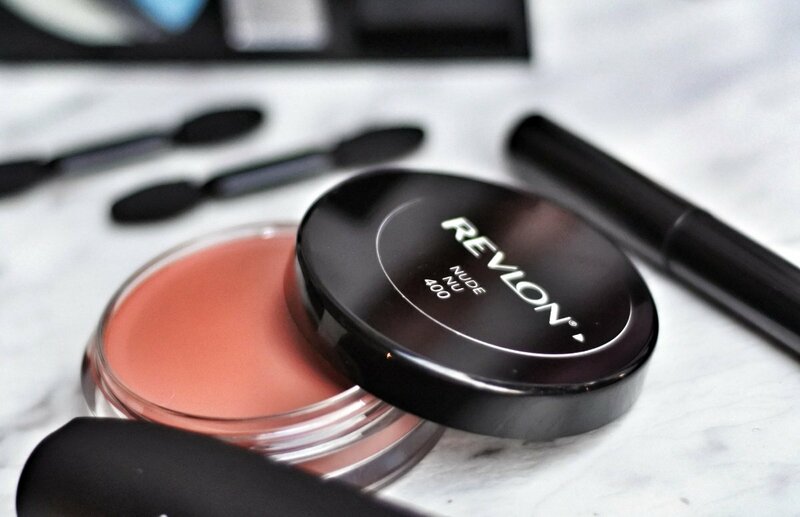 The Revlon Cream Blush provides a buildable flush of colour to the cheeks and the lightweight formula leaves a silky soft feel on the skin and blends evenly over cheeks for smooth application. 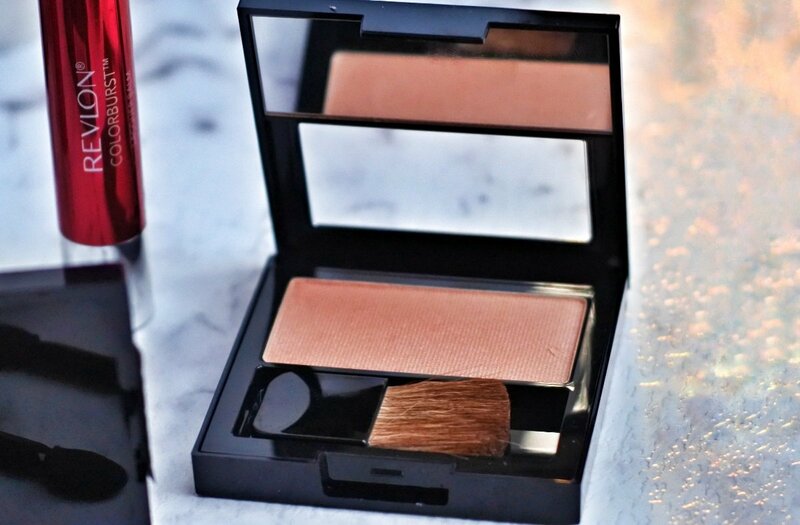 The blush contains photochromatic pigments that bend and reflect light to give cheeks a flushed glow. I am really loving this cream blush. It is pigmented enough to give a nice flush on the cheeks and blends really well with foundation. It blends easily into the skin, adding a rich flush of colour to your cheeks with a soft, satin finish and can last up to eight hours. 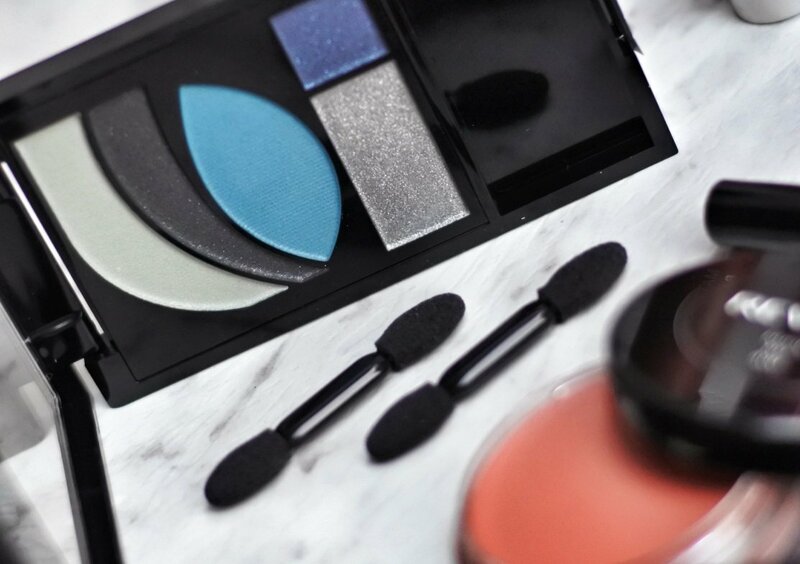 The Photoready Primer, Shadow and Sparkle is an eye make-up palette that allows for limitless eye looks in one package!! Each palette includes a lid smoothing primer, three coordinated shadows that can be used wet or dry, and a sparkling topcoat. This eyeshadow palette is incredible to use and it has a nice layout so it suggests which colours you should use and for what area – don’t worry there are also instructions on how-to on the back of the packaging. The colours are very pigmented and blend like a dream. It’s available in eight coordinated palettes. The Revlon Powder Blush is long-wearing and has a lightweight feel. It contains gingko bilboa, ginseng, grape seed and green tea extract for improved wear and antioxidant protection. It contains a brush and pop-up mirror. I have been trying to find a blush that suits my colouring and my needs for so many years and this one is just fabulous! It lasts all day which is amazing (and exactly what you want a good product to do) for when I’m at work and it has a subtle colour that you can build up to whatever strength you want, which for me is a big deal. 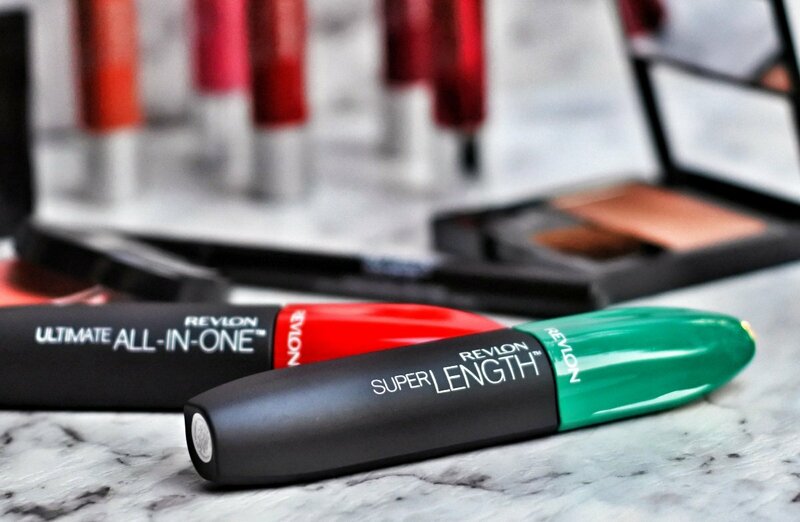 The Revlon ColorStay Liquid Eye Pens has a tapered tip for soft to dramatic lines and creates any look, from soft to dramatic, with the tapered felt tip. The black liner gives a dramatic colour in a single swipe. This is one of the easiest liquid eyeliners I have used and definitely should be considered if you are new to using liquid eyeliner but make sure you choose the tip that’s best suited to you, mine is the Triple Edge. Seriously, how can you not have mascara in your beauty bag?! Sacreligious! It is a MUST! After trying many different types of mascara, many of which have been discarded after two or three wears mainly due to messy clumpiness. I do have to say that these two mascaras are quite impressive, each application separated each lash, brilliantly. Both gave my lashes the appearance of bigger, longer, fuller and a bit curled upwards, making them look clean and glamorous. If you’re like me and not a lipstick girl (only because I think I look awful in lipstick!! I think I look worse than a scary clown, with lipstick on. Bah!) then these little beauties are made especially for you! With the Lacquer Balm, your lips shine like never before with brilliant colour infused with a Triple Butter Complex. There are four available in craveable, collectible lacquer shades. With the Matte Balm, the vibrant colours arevinfused with a Triple Butter Complex give you a bold, beautiful lip. It’s a burst of matte colour with a balm-like feel. Go bold and get moisturised in 10 craveable, collectible shades. 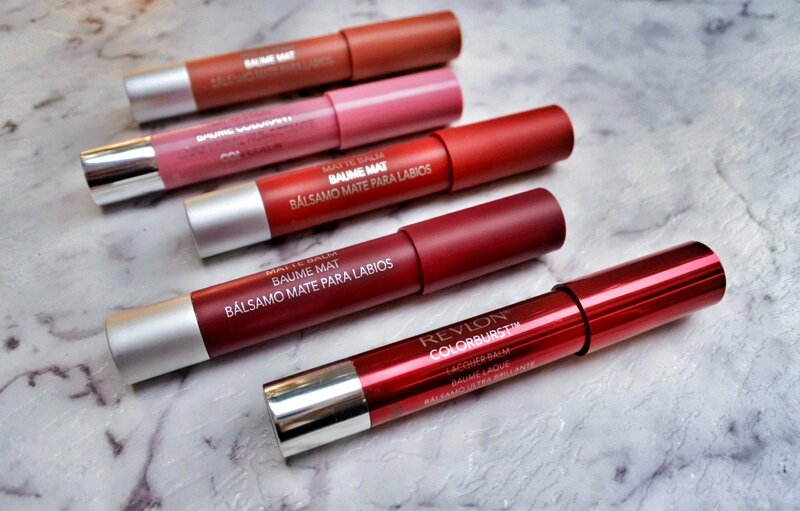 With the Balm Stain range, the products are a lightweight lipstain + moisturising balm for a perfect flush of colour. Available in eight craveable, collectible balm stain shades. What I found with all of these is that felt more like lip balm than lip stick, so the heavy feeling was not there. I love how the colours aren’t so overwhelming and heavy, meaning when it rubbed off it wasn’t that noticeable. As a non-lipstick person I found these products are just pure perfection, giving you that look of a lipstick but yet having your lips feeling hydrated. The color range is brilliant as it caters to so many different skin tones. 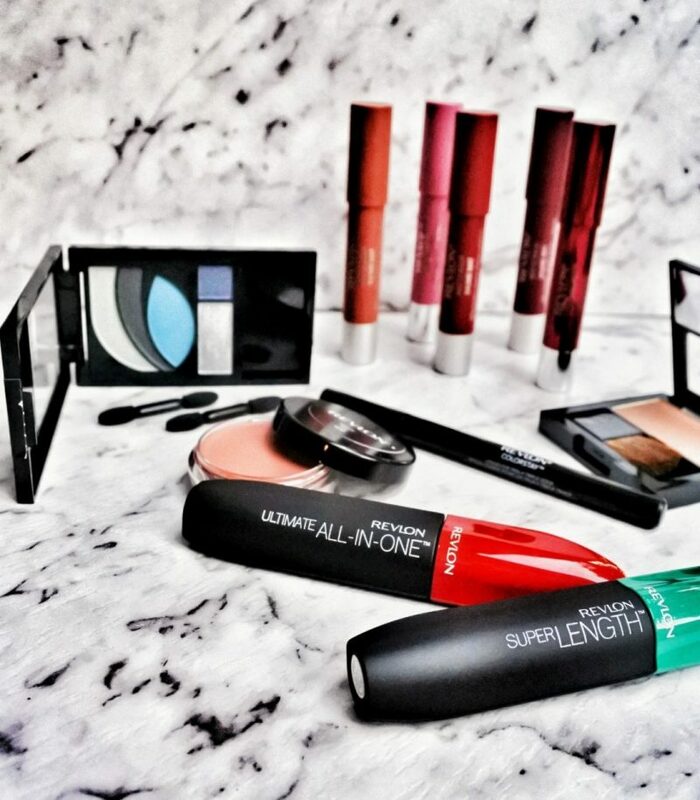 Have you tried this range from Revlon? Which products are you keen on trying out? And what’s in your makeup bag at the moment that you love? 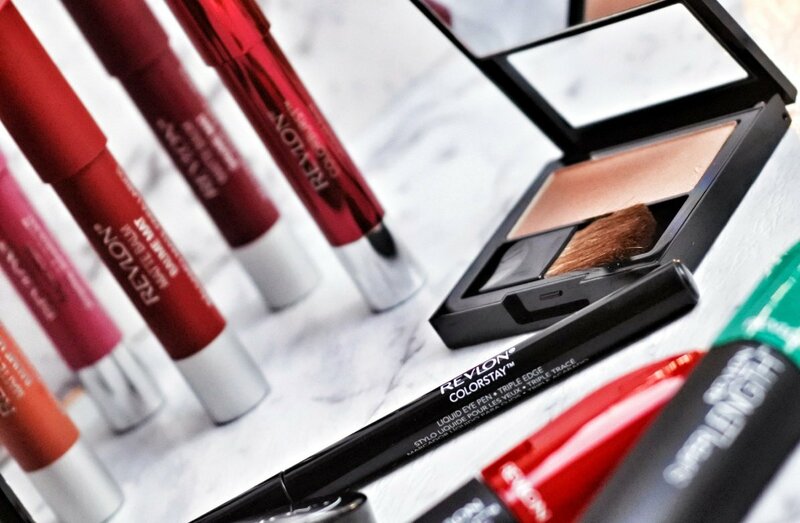 * These items by Revlon were gifted to me for editorial consideration but opinions are my own. Full disclosure policy here.